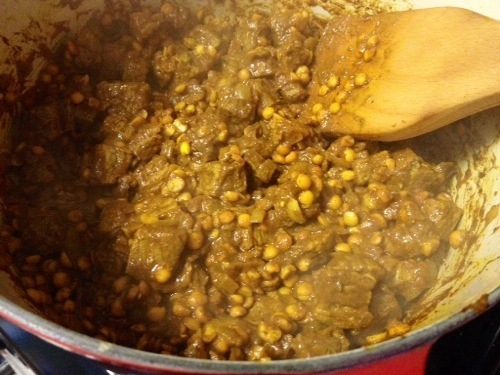 Each of my Iranian sisters-in-law have the dish they are best known for. 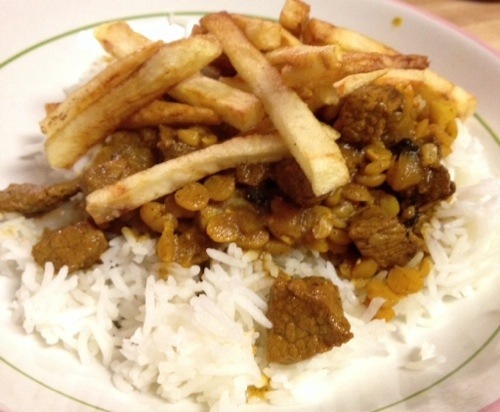 For Nargas it is her gheimeh – a citrus-y beef stew made with split peas and topped with fried potato sticks. I have interpreted Nargas’ instructions as a recipe here. 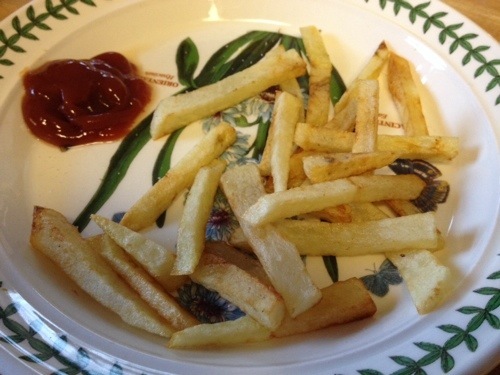 I cut my potato thin, but I would even make them thinner next time – think fat matchsticks instead of thin french fries. 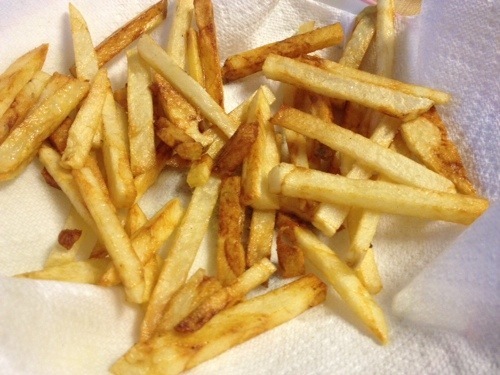 My son loves that I made the potatoes, he started his evening with a plate of “french fries” while I cooked dinner. Pierce the dried limes and place in a bowl with water. 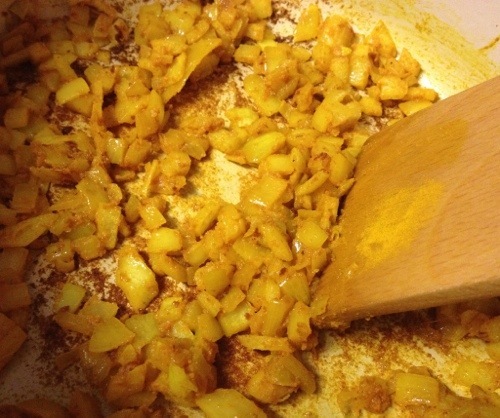 In a dutch oven, fry the onion in 1 Tbsp vegetable oil with the turmeric until the onion is golden. 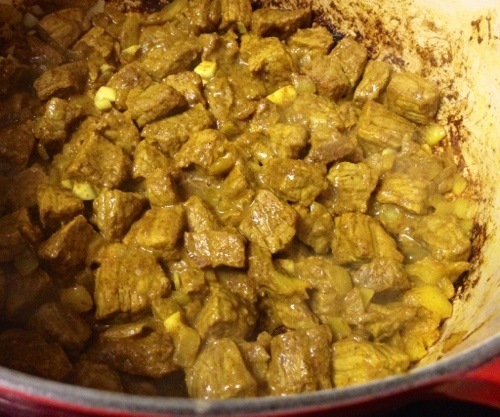 Add the beef and brown – about 4 minutes per side. Add the cinnamon, pepper and garlic while the beef is browning. 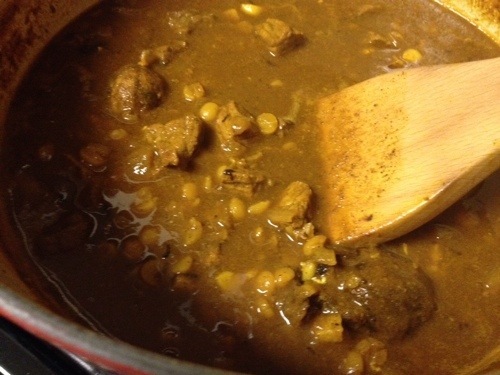 Add the split peas and about 1/2 cup water. Scrape the browned bits off the bottom of the pan. When the water evaporates, add the tomato paste and allow it to change color. Add 2 cups of water and 2 or 3 dried limes. Simmer for 1 1/2 hours (check the water level periodically and add water if it dries out too much). 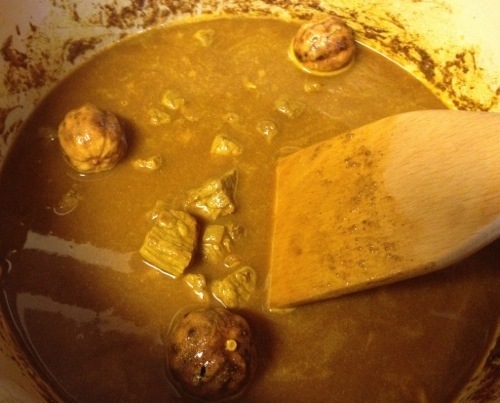 Toward the end of cooking, add the dissolved saffron. 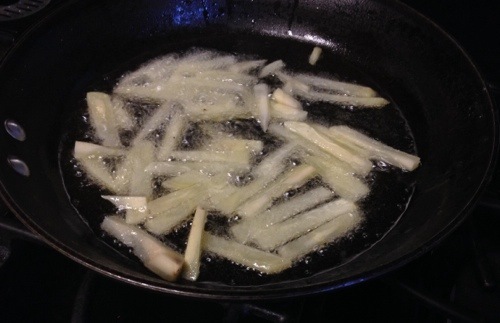 While the the beef cooks, cut the potato into thin strips, fry in plenty of oil. 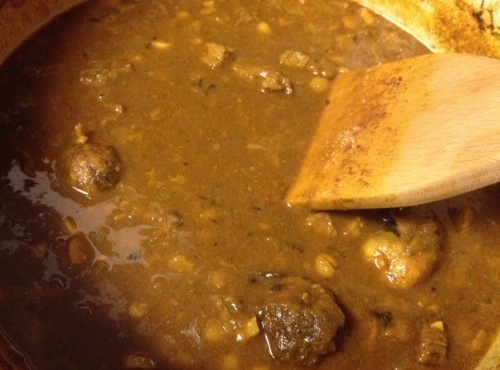 When the stew is cooked, add salt to taste. Allow sit. Add lemon juice. Serve with rice and top with the fried potatoes and enjoy! ok, it’s close to supper; after reading post and viewing pictures I’m really hungry!